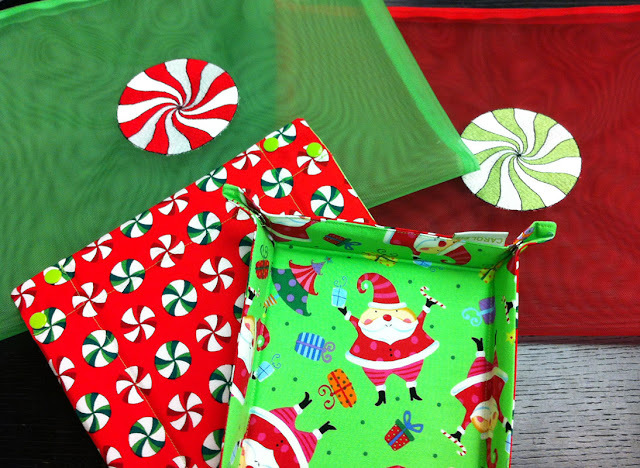 For Holiday Walker Bags and Snap Trays!!!! They make me happy. Each year we work to create limited edition new bags and snap trays to add a little holiday cheer to your stitching. As you can see we have a few choices. 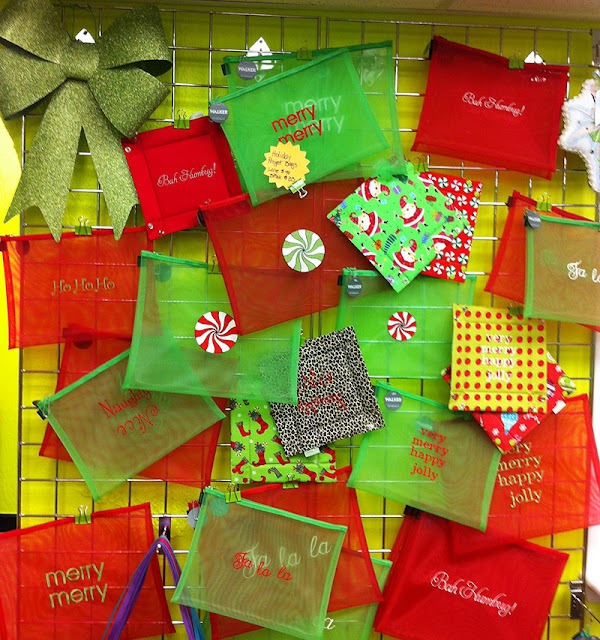 The bags are 9 x 12 or 11 x 14 in red or green. New this year we have Naughty Nice for those of us who can’t decide which list they might be on. 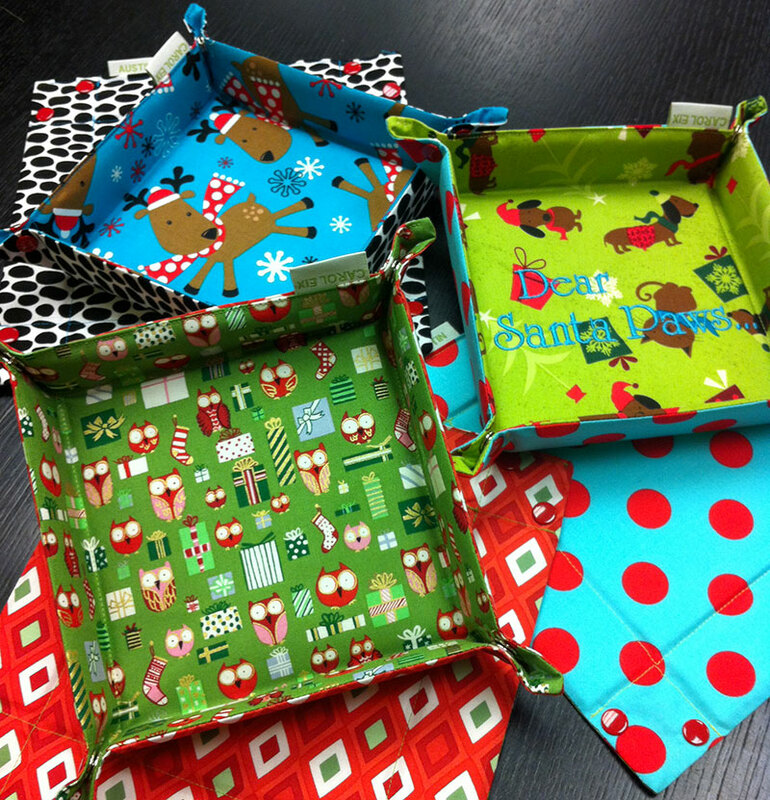 The snap tray is leopard on the inside with super cute stockings on the out. There’s even a crystal in the “i” on Nice! 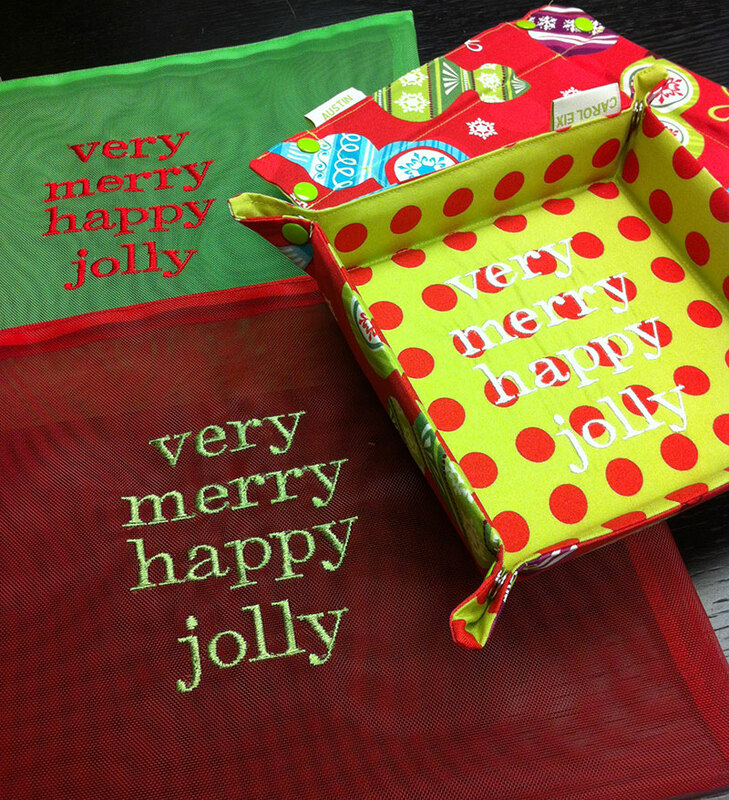 very merry happy jolly’s coordinating snap tray is very happy with lime and red on the inside and ornaments on the out. Just because we wanted something a little different, what about holiday mints! Love them all, each is cuter than the next. The elves outdid themselves. While we were reviewing fabrics there were a few more that just had to be made. I love my animals. We have reindeer with black and white spots on the outside; Dear Santa Paws for dog and cat lovers everywhere. It has a fun red polka dot print on the outside. Is Christmas Christmas without owls these days? I don’t think so. So many fun choices. Stop in and pick your favorite, or call us and we’ll ship direct to your door. 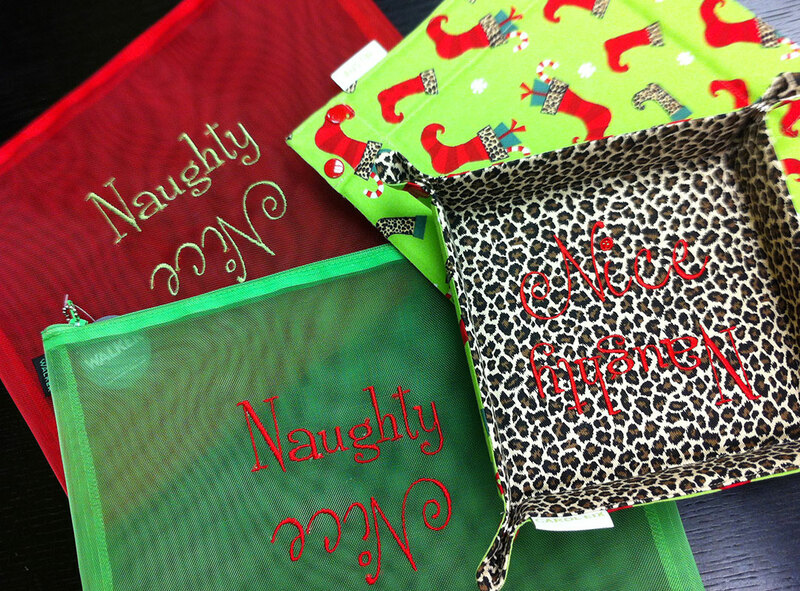 I love the fonts for Naughty and Nice! I got to see these live & in person on Saturday. They are a delight!